Ontario has it all. Freshwater beaches, awe-inspiring wilderness, fantastic festivals and big city fun. Whether you grew up in Toronto or have recently landed in ‘Canada’s little city on the Lake,’ there are endless opportunities to explore your own backyard this summer. I grew up in the suburbs of the city and am thankful my parents planned trips within the province each summer for our family. We’d hop in our minivan and roam for hours to enjoy memorable moments cottaging in Muskoka, devouring juicy peaches in Niagara and visiting friendly farmers in Guelph. There’s nothing more important to me than staying connected on the road so I’ve partnered with TELUS to share my favourite #ConnectedMoments so you can share your special holiday memories with ease via jaw-dropping instagram pics, hilarious snapchat videos and tantalizing tweets. No matter where you travel in Canada this summer, you can rely on TELUS’ wireless network to keep you connected. In fact, TELUS’ network is one of the most advanced wireless networks in the world, including an extensive 4G LTE network covering 99 per cent of the Canadian population. JD Power also announced in May 2016 that TELUS has the most reliable network in Ontario, and is one of the most reliable networks in Canada overall. TELUS continues to invest heavily in its network. In 2016 alone, it will invest $245 million in Ontario to enhance speed, capacity and coverage of its wireless networks in both rural and urban communities. It has invested more than $29 billion since 2000 to keep our Canadian communities strong and connected. 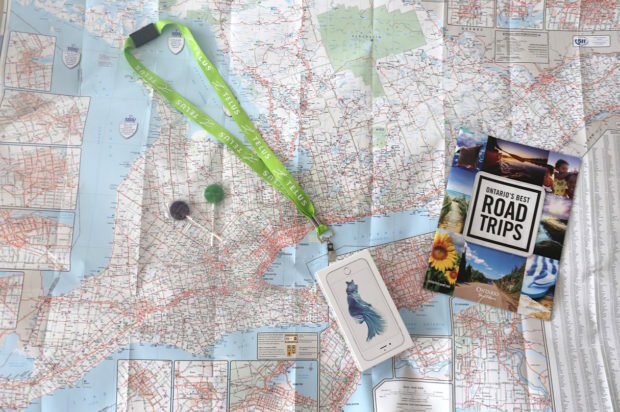 Whether you’re looking to enjoy a quick day trip to Hamilton for the city’s annual Supercrawl or a more epic adventure to white water raft along the Ottawa River in Capital Country, TELUS helps keep you connected to the friends and family you want to share your experiences with live on the road. Hot Tip: use the excellent trip planning tools at Ontario Travel to create your ideal itinerary. If you’re a fan of good food and drink be sure to check out the Ontario Culinary Tourism Alliance destination page. You don’t want to miss out on the province’s finger-licking-good Apple Pie Trail or sweet sipping Wine Country Route now do you? An easy meets enjoyable day trip from YYZ, Hamilton’s annual Supercrawl will take over James Street North on September 9 to 11. 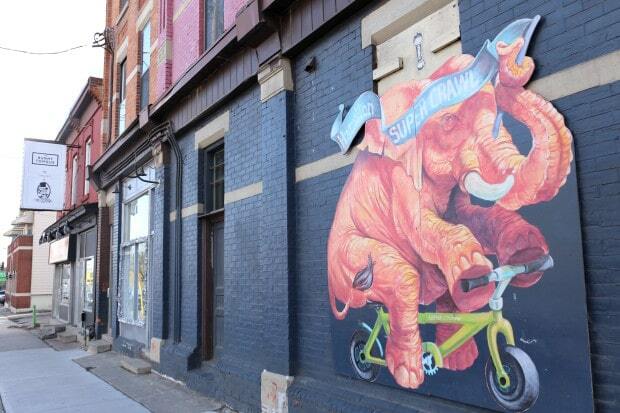 Originally launched in 2009, The Hammer’s Supercrawl was founded by a driven team of local artists and community builders out of a desire to expand on the promise of the city’s monthly Art Crawl. Supercrawl offers up great music alongside an entire street of cultural experiences — a diverse and dynamic lineup of music, art, fashion, performance, talks, crafts, food and fun. This year the festival is set to expand its physical footprint (now covering 16 city blocks) and programming/production ambitions. Highlights from this years music lineup include performances by Polaris Prize-nominated indie fuzz-folkers The Rural Alberta Advantage and Juno-nominated power-pop group Hollerado. Each summer serious foodies take the trip to Ontario’s favourite Mennonite community to tap into a local taste of place at Relais & Chateaux Langdon Hall. 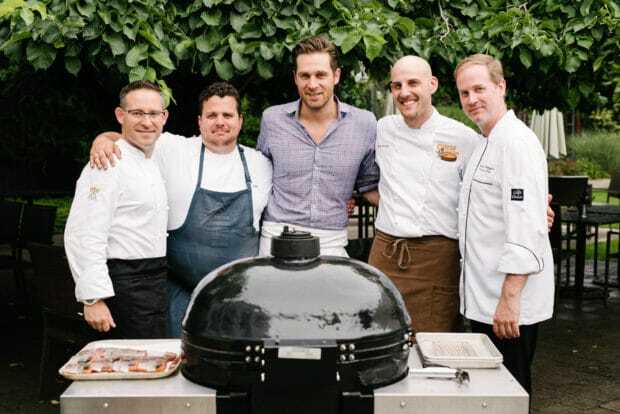 Regularly ranked as one of Canada’s most luxurious boutique hotel’s, Langdon Hall hosts an annual summer BBQ series which sells out in seconds. The much adored al fresco feasts invite guests to interact with some of the regions favourite suppliers, industry colleagues and musical friends. Located a stones throw from awe inspiring Niagara Falls, the petite vine village of Niagara-on-the-Lake dazzles first time visitors with her choir of cute boutique hotels, romantic main street lined with horse drawn carriages, the Shaw Festival’s spectacular theatrics and handful of world class wineries. 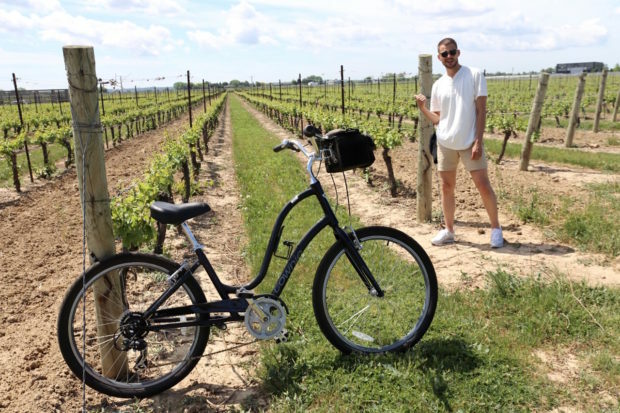 Bring your bike along for the ride and whiz around sun-soaked vineyards all day long. Favourite sips include stellar sparkling at Jackson-Triggs, world renowned Icewine at Inniskillin, French inspired Chateau des Charmes and delicious dinner with a view at Ravine Vineyards. My fondest childhood memories can be traced to the thirst quenching lakes of Muskoka. My family would spend each summer at our cottage on Mary Lake, a stones throw from Bracebridge and Huntsville. We’d forage for local berries in the morning and bake them into fluffy muffins for breakfast. Afternoons were spent soaking up the sun on the dock or waterskiing around timber topped islands. After the sunset we’d fire up the BBQ, stargaze from the boathouse or light a bonfire and roast ooey-gooey s’mores. Muskoka is now Ontario’s most sought after cottage country, recently dubbed “Hampton of the North,” as marvellous mansions play home to A-List celebrities such as Martin Short, Goldie Hawn, Steven Spielberg and Tom Hanks. 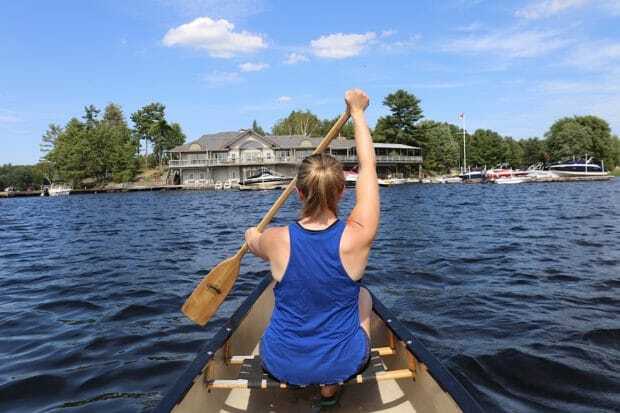 If you’re looking to enjoy a relaxing weekend in Muskoka and don’t have a family cottage to crash book yourself into a sweet suite at Taboo Resort or Windermere House. Road trip to capital country to enjoy a splash and squeal in the great outdoors. Ottawa City Rafting offers 3.5 hour family-friendly whitewater rafting adventure just minutes from downtown. Float down the Ottawa River starting at Britannia Beach and hop off near the Canadian War Museum. Along the way, you’ll retrace the steps of explorers and fur-traders, and body surf in the river’s current! Class II and III rapids – enough to get you wet but not fall out of the boat. 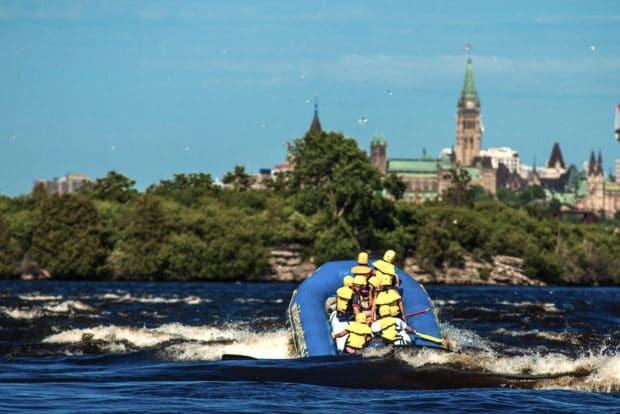 If you’d call yourself more of a daredevil, intense rapids are found just 90 minutes west of downtown Ottawa on the upper Ottawa River. Several outfitters, including OWL Rafting and Wilderness Tours operate out of Beachburg, Ontario. They offer a variety of trips—some slow and tranquil, others full of white-knuckle adrenalin (up to class V rapids)—depending on your tastes. great article….I want to do all five trips!! great article on Ontario travel, Andrew…..loved your memories at the cottage on Mary’s Lake! Miss it.